One hundred years ago today Great Britain was pitched into the darkness that became the first world war. 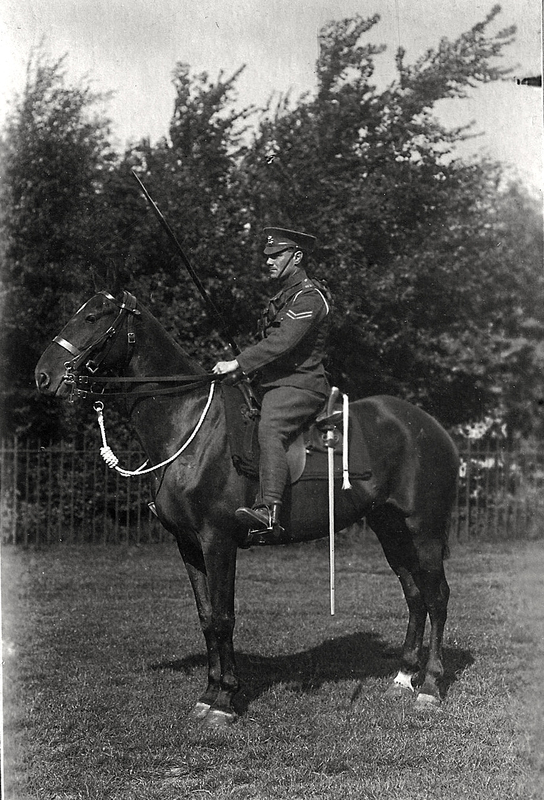 I felt that this evening would be an appropriate moment to post an old photograph of my Grandfather, who served in the 17th/21st Lancers during the First World War. He was wounded in action but luckily he survived, otherwise I wouldn’t be here writing this. On the evening of 3rd August 1914, the then Foreign Secretary, Sir Edward Grey, watched the street lights being lit outside his office in Whitehall. He turned to his friend and said, ” The lamps are going out all over Europe; we shall not see them lit again in our lifetime”. Tonight at 10pm, everyone in the UK is invited to join in a remembrance of this event by turning out all their lights except one. So, my family and I will be extinguishing our house lights in remembrance of all those who gave their lives or were injured in what was once optimistically known as “The War To End All Wars”. The Royal British Legion website. Posted on 4 August 2014 4 August 2014 by Wizzard PrangPosted in Family, WarTagged 17th/21st Lancers, First World War, Great War, Lights Out, Remembrance, World War One, WWI.